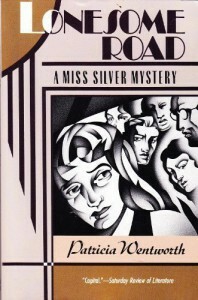 Much more modern in that Miss Silver is quite the force in moving the story. Much more Golden Age in that The Ladies are Ever So Ladylike and one silly chit of a slip of a girl gets all twisted up and confused by A Big Bad Man. Also irritating is the fact that it takes a man to sort out Miss Rachel Treherne, a quite redoubtable party until it comes to her ghastly family and their disgusting behavior. Well, autres temps autres moeurs, don't you know, and in the end the right couples are coupled with the Big Baddie most satisfactorily served a comeuppance. If Miss Silver is ever silver screened, this entry in the series will be loaded with a lesbian subplot that is absolutely accurate...right there for anyone with ~2 eyes to see. Dunno that it'll make diddly squat difference. You either like this book or you don't, but forevermore don't read on because the final formula is fixed with this book and the next 25-plus don't vary it. I also liked a lot that Miss Silver came to Miss Rachel Treherne's attention via Hilary Cunningham, née Carew. I don't recall if this little easter egg is repeated, but I hope so.